Judges get to see a lot of domestic violence. We know that one in three women will experience partner violence some point in their lives and on average 14 women are killed every year in New Zealand by their current or former partners. There are over 3500 convictions recorded against men for assaults on women each year. From time to time, I sit as a duty judge and we have moved into the new world of doing most of our emergency applications electronically and based on a national overview of incoming applications and judge availability throughout the whole country. The last time I did this was Friday 15 November. The violence we see is invariably by men against women and it takes all forms from bad beatings, regular assaults and often to an inability to let go of a relationship and to constant texting, abuse and breaking into their partners houses. I have moved from the role of Principal Family Court Judge to other roles and that has allowed me a little space to do some other things. I decided I would accept the invitation to be chair of the White Ribbon Committee because White Ribbon carries a clear message that men must take responsibility for their violence to women and must change attitudes and behaviour. From what I see the message is spot on. We have seen quite graphically in the last few weeks that bad male attitudes can start quite young. Probably by the time the much publicised roastbusters had decided to go public with their deplorable behaviour, they had learned and practised their exploitative behaviour towards females for some time. Sadly, the attitudes and behaviour I see are widespread and certainly not limited to a particular age-group. Teenagers such as the roastbusters have inevitably learned their behaviour and the question is from whom and what responsibility do we all have to bring about change? 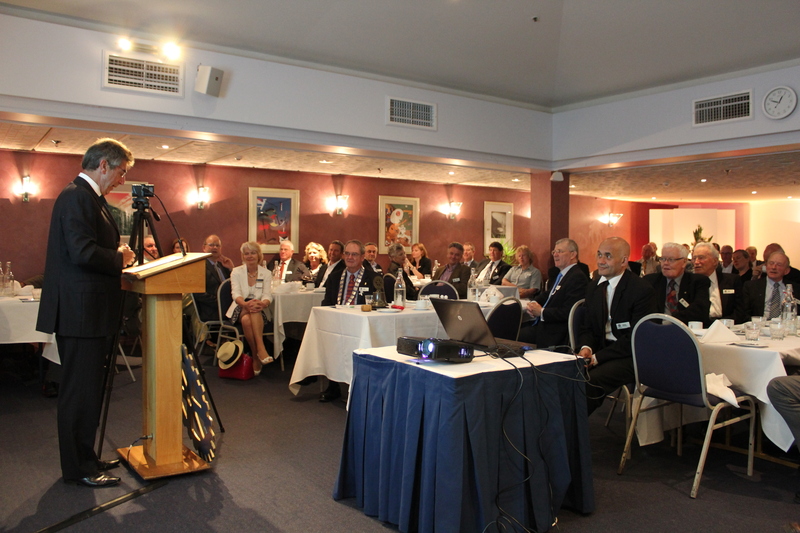 We launched this years White Ribbon Campaign on Monday 11 November. In the course of that I met Mark Longley and spoke to him at length about the murder of his daughter Emily in London by Elliot Turner. Turner had not only boasted to his mates that he was going to kill Emily but went further and showed them how he was going to do it. He did of course. If only one of them had spoken out! But he is not alone in his grief. In the past year I have spoken to some of your colleagues who as parents of adult children have found that either their children or those of their friends have inexplicably become entangled in a violent relationship with a man. For any parent who has undergone this experience, the feeling of helplessness and the wish to be protective must be immense and deeply moving. Ever since the Domestic Violence Act 1995 came into force we have had the ability to direct perpetrators of violence to programmes in order to change behaviour. But it is so very difficult to do so once the die is cast and one bad attitudes are entrenched. Furthermore, it is very costly and dubious in terms of the cost effectiveness. 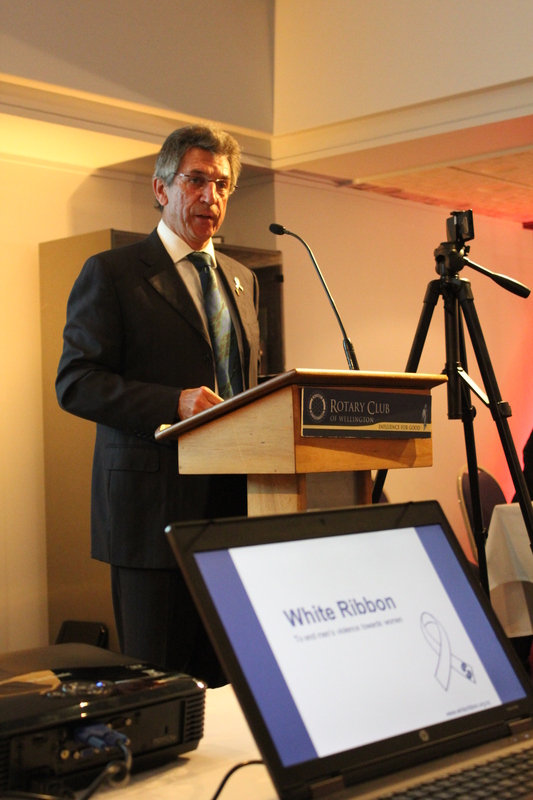 The White Ribbons Campaign prime message is aimed at change at the beginning not at the end. We have seen New Zealand make quantum shifts in its thinking on a number of issues such as smoking, the compulsory wearing of seatbelts and crash helmets and more recently drink drive and speed. All of these were once much lauded macho pursuits. But they are no longer. I think if we can begin to talk about why we have the attitudes that we do that leads to so much domestic violence and what influences we can bring to bear to change, we will achieve a fundamental shift in New Zealand thinking and behaviour. For me as a judge I will begin to see more functional families and better achieving children. I think that bringing about attitude and behaviour change can operate at all sorts of levels. We have had the “It’s not okay” campaign which has had a very good measure of success in the public arena but we can also do it at our workplace and, by keeping a careful look out for men workers who are separating or in personal relationship difficulty, we may be able to see the early signs of domestic violence brewing. From the position that I am now in, I see it as important to promote a leadership role by all of us for that is how we truly shift public opinion. It is by speaking out and by being clear in what we find acceptable and unacceptable. If we can raise our consciousness about this issue and raise the bar, I am confident that we will start to see a lessening of the huge family violence workload that comes into our courts each day.